I don’t have a lot of baths (mostly because I can never find the time to relax for that long LOL) but whenever I do I really enjoy them. I also love making my own homemade products – whether it be cleaning products, gifts, DIY projects or beauty products. I often search out homemade or DIY alternatives to products before buying them as you never know what kind of nasties may be hiding in the pre-made products, and it often works out cheaper to make your own cleaning/beauty/cooking products too. 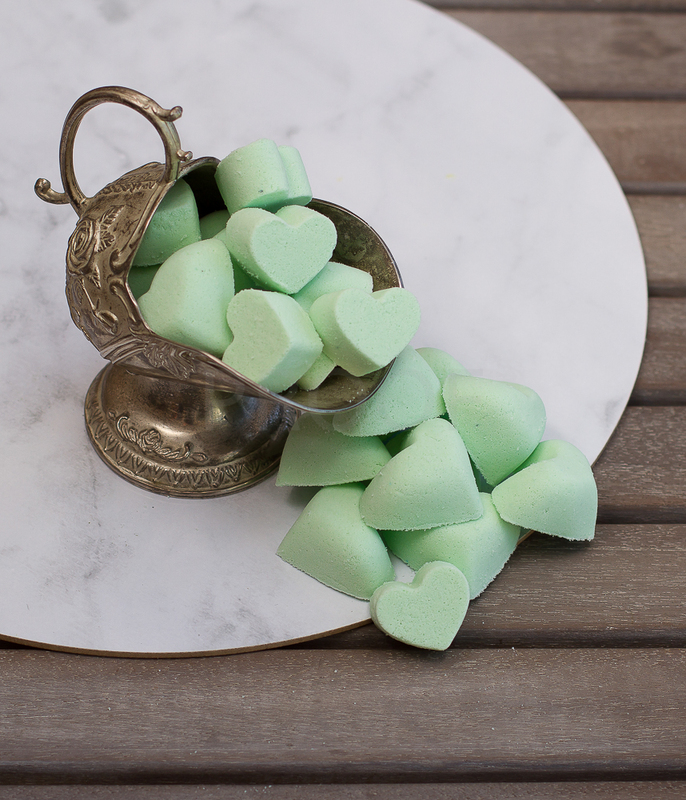 These lovely homemade bath bombs are so easy to make and are perfect for gifting to others or treating yourself! This recipe is an extract from The Inspired Little Book by Krissy Ballinger, which you can purchase from my shop HERE! 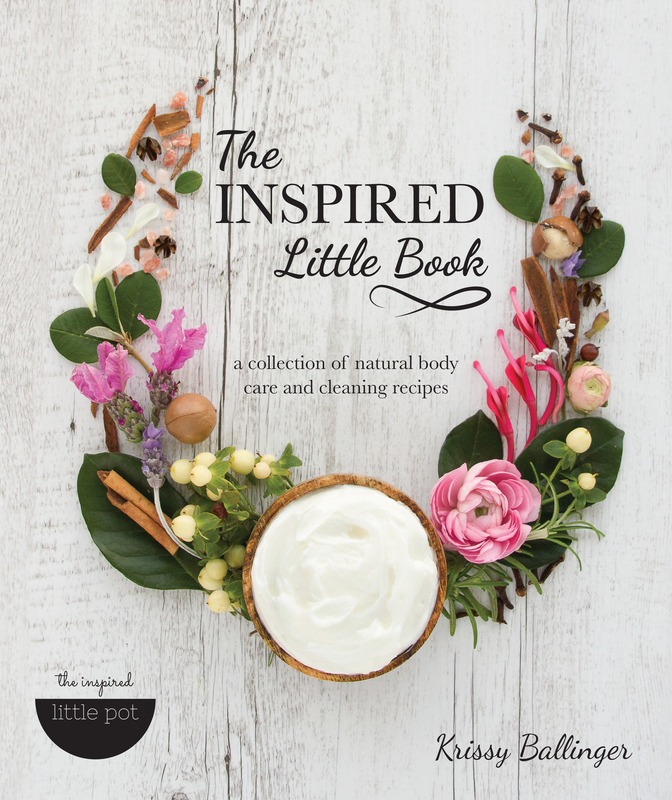 The Inspired Little Book features over 35 beautiful, non-toxic and easy-to-follow homemade body care and natural cleaning recipes. Accompanied by stunning full-page photography and including conventional methods, as well as recipe adaptations for thermal appliances, prepare to find inspiration from the pages within, and be empowered to create for yourself, a cleaner, greener and healthier lifestyle. visit page above DIY recipe content list. Add sodium bicarbonate, citric acid and colouring (if using) to a bowl and whisk until well combined. Add essential oil and carrier oil and whisk until mixture is thoroughly combined and just holds form when squeezed together. If it isn’t holding together, add another 5g of carrier oil and whisk again. Spoon and pack mixture into moulds, and press down firmly to fill. Leave to set for 24 hours in a cool and dry place. After this time, turn moulds upside down and gently tap the bottom. Bath drops should fall out easily. If not, leave for a little longer. Add sodium bicarbonate, citric acid and colouring (if using) to bowl and mix for 15 seconds on medium speed. Add essential oil and carrier oil and mix for 15-20 seconds on medium speed until mixture is thoroughly combined and just holds form when squeezed together. If it isn’t holding together, add another 5g of carrier oil and mix again. Add 3-4 small fizzy bath drops, or 1 large fizzy bath drop to a warm bath and delight in the effervescence. Natural Food Colouring: you can use any food dye, however, powder is the best option if you want to avoid the risk of premature fizzing. Also, adding one teaspoon of vitamin C powder to bath water while it is filling, helps to neutralise the chlorine present in unfiltered tap water. Tip: You could also use almond oil or olive oil in the place of doTERRA Fractionated Coconut Oil. Bath bombs are a fun way to add excitement to your senses while enjoying the benefits of essential oils. They are also entertaining to use and are loved by both kids and adults alike. I’ve listed below some great suggestions of essential oil to add to your bath fizzies. HOW TO GET 25% OFF YOUR ESSENTIAL OILS – Create a wholesale account. There’s no minimum spend and there’s never any obligation to make another purchase if you don’t want to. 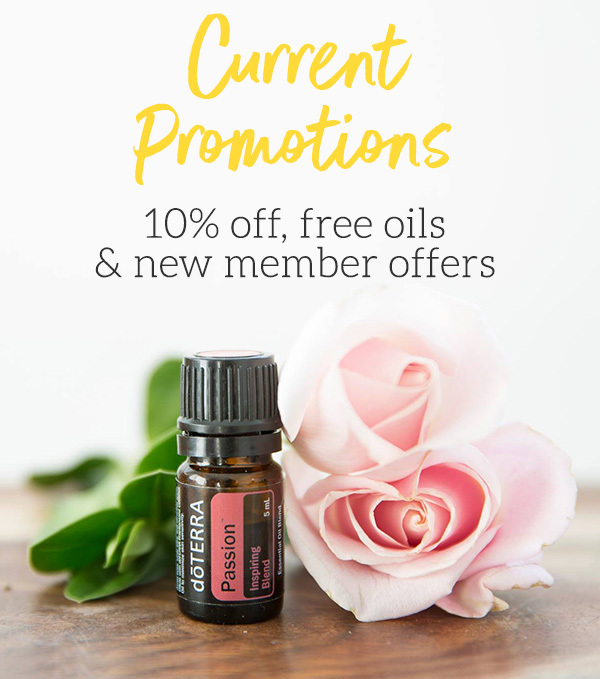 You do NOT need to place an order every month or on-sell to friends or family, you simply get to save 25%, plus loads of resources and education about essential oils from me. Click here to learn more. Grapefruit Essential Oil – Grapefruit Essential Oil can provide an uplifting environment due to it’s invigorating and energising aroma, while acting as a purifying agent when added to a skin care routine. 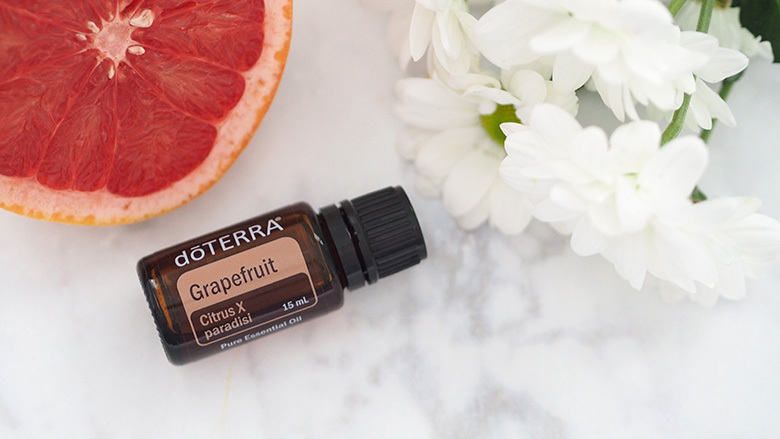 Read more about Grapefruit Essential Oil here. WILD ORANGE ESSENTIAL OIL – Cold pressed from the peel, Wild Orange is one of doTERRA’s top selling essential oils due to its energising aroma and multiple health benefits. Wild Orange will energise and uplift the mind and body while purifying the air with it’s fresh, sweet, refreshing aroma. 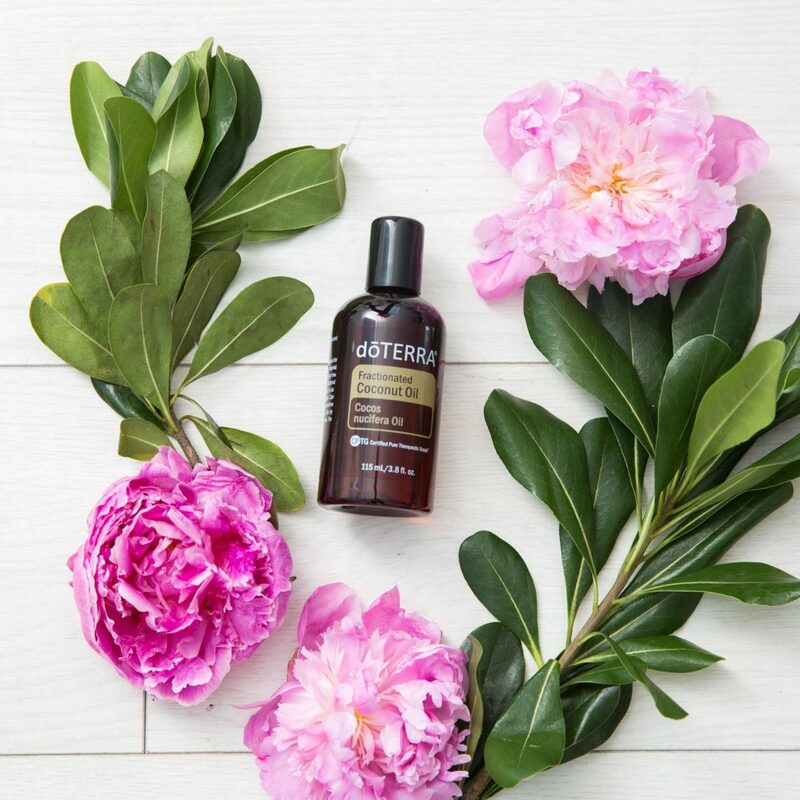 FRACTIONATED COCONUT OIL – doTERRA Fractionated Coconut Oil is an all-natural carrier oil that readily absorbs into the skin, making it an ideal oil for topical delivery. Its feather-light emollient effect provides a soothing barrier without clogging pores and is excellent for dry or troubled skin. It leaves skin feeling silky smooth and non-greasy, unlike other vegetable carrier oils. Fractionated Coconut Oil is completely soluble with all essential oils and is colourless, odourless, and will not stain. Thanks to The Inspired Little Pot I am giving away a pack that includes 1 x The Inspired Little Book and 1 x The Inspired Little Gift Book. THIS GIVEAWAY IS NOW CLOSED – Congratulations to Karen S! 1. 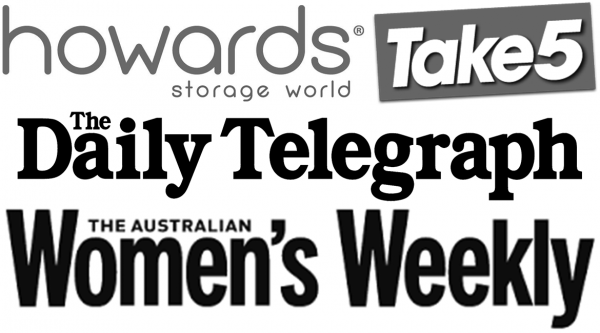 Entries must be made on The Organised Housewife blog, comments on social media are invalid. 2. 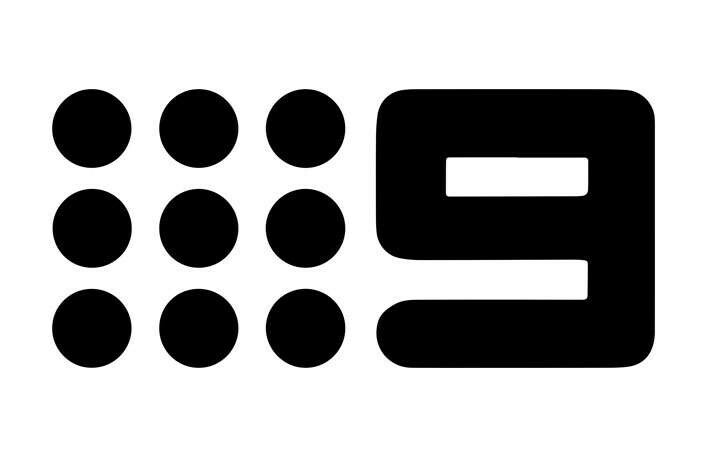 Entries close 11.59pm AEST Monday 6th of August 2018. 3. 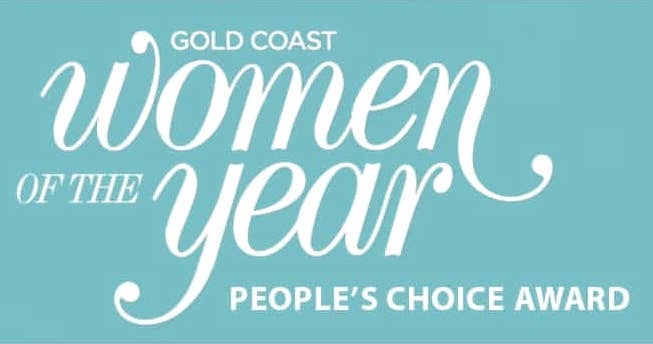 One entry per household and open to Australian residents only. 4. This giveaway is a game of skill. The judge’s decision is final and no correspondence will be entered. 5. The total prize pool is valued at $74.90. 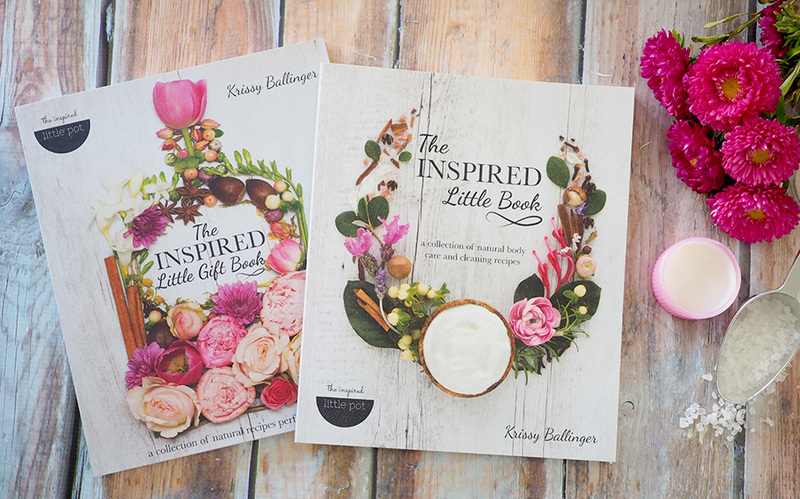 1 winner will receive 1 x The Inspired Little Book and 1 x The Inspired Little Gift Book, not redeemable for cash. 6. Winner will be contacted by email, please ensure you leave your email address. 7. If I have not received a reply from the winner within 7 days the prize will be forfeited and awarded to the entry judged to be the next best. 8. The Organised Housewife will take no responsibility for any delay, loss or damage to prizes sent to winners. My favourite DIY product is definitely making my own insect repellent using lemongrass, lavender and peppermint oils. It works great and smells amazing. So much better than using store bought for my little ones! The DIY I’m proudest of is hand sanitiser made with aloe vera, glycerin, witch hazel, water and of course essential oils! I have a glass pump in the kitchen and bathroom at home and one on my desk at school. My class all happily use it and I love to smell On Guard and tea tree wafting through my classroom. My favourite DIY product to give as a gift is homemade sauerkraut! People are always impressed, even though it’s actually quite easy ? My favourite diy would be body scrubs! I love how i have the ingredients in my pantry and more importantly i know what im putting in them! And they make a wonderful gift. My favourite DIY product is a duo of a peppermint foot scrub and foot soak. Perfect for treating my feet after a long week. I Recently found The Inspired Little Pot website and found in the recipe section underarm balm I’ve made up one batch and loving it. The books sound amazing. My favourite DIY product is my all purpose cleaner. It’s just a mixture of vinegar, tea tree oil & water! Works for everything-floors, counter tops, bath, dishwasher! My favorite is the toilet fizzers. Amazing for getting that built up limescale off the bowls. I make them up put in a jar on the window sill and the kids drop them in when ever they want. Super cheap and the best cleaner I’ve ever found. I love making DIY washing powder. I have tried Krissy’s recipe and our clothes are so soft, clean and no longer irritate my sensitive skin. And by making my own washing powder I am saving money and helping to reduce our home’s waste and excessive use of plastic. Purpose cleaner. I can no longer stand the smell of anything remotely chemically scented since using essential oils to replace so many of our household products! My favourite DIY is candles. I love making candles for family and friends for gifts at Christmas or birthdays ? I’d love to start making my own cleaning products.. I’ve got lots of things on my list to make.. I love making my own washing powder in the Thermomix. It’s super cheap and works great and doesn’t have any nasties in it. Super Salve from The Inspired Little Pot, it’s great on sore, dry lips, hands, grazes….just about anything. The bonus is that it only takes 5 minutes to make. Face scrub is my fav and so easy to make! But I do love making dishwasher tablets!! Would love these books, they look amazing and thanks for the bath bomb recipe…I’m gonna give that a go!! My favourite diy cleaner is vinegar, water with left over orange and lemon peel. My all time favorite DIY gift is the wrapping paper that I wrap my Mums birthday present in. It’s brown paper with my kids hand prints on it, it started with 1 little hand and now we have 3. The kids love seeing how much they have grown and it’s a great little keepsake that I plan on framing one day. Definitely, DIY washing powder. Boring I know but it is cheap and reduces the amounts of toxic chemical stuff I bring into my home. I have only recently starting making my own products. My favourite at the moment is a cleaning surface spray using eucalyptus oil, it is so fresh and leaves surfaces so clean. Would love to learn some more homemade techniques. In an effort to slowly transition to low tax in the home I recently began making my own baby wipes… I love them my 10 month babe hasn’t had nappy rash since keeping his baby bum soft and smooth as it should be. Love knowing exactly what’s in products I use around the home. Oooooh …. I sooo would love to have these books. I make my own fabric softener, laundry wash, surface spray and Kat’s antibacterial wipes. There is sooo much more I would love to make !!! Thanks for your endless help and inspiration Kat. Shower wash! I LOVEEEEE it!!!!!!! Creamy, moisturising and not full of rubbish! THE BEST!!!! My favourite DIY is lavender bath salts for my kiddies. Helps to begin the calming process before bed! My only DIY I do really is gift tags and cards with gifts but I’m super keen on wanting to start making all my DIY skin products and household cleaning items, which Is why I would love to receive these books! Sugar body scrub…..i use sugar, jojoba oil, spearmint and wild orange Doterra oils. Leaves my skin polished and smelling great – the result is better than the store bought toxic stuff….and its good for you!! My favourite DIY gift is something that you can use/eat inside something you can keep forever. Like some homemade rockyroad in a home-decorated coffee cup. Or some homemade bath salts in a personalised jar. Bonus points for a home made card! My favourite is spray for my girls hair water with a couple of drops rose, lavender and tea tree (helps keep bits away). My favourite DIY is a citrus spray cleaner made with citrus peel & vinegar. Using all my citrus fruits & all natural. It’s so hard to choose a favourite!! I make pretty much everything from scratch, and I love it! I think I’d have to say fabric softener- using Epsom salts and essential oils. It smells amazing, is good for you and your clothes and is super effective. Win win ?? I have just made a DIY face moisturiser using essential oils and coconut oil. I’ve just started on this oily journey. My ultimate goal would be to be 100% toxin free in my home and to be able to gift my knowledge to my friends and family. These little books would definitely help with that as a one stop reference point. Just wish it didn’t take me so long to start this journey!!! My favourite DIY cleaner product would be my bathroom spray I make- a spray bottle of vinegar, few drops of tea tree oil and a few drops of dish washing soap. Saves me a lot of money on bathroom cleaner. I also save money on body scrubs by mixing together raw sugar and coconut oil (can also add coffee) and using that as a body scrub. I love making my own baby wipes for our 4 month old baby. Saves a heap of money and way better for his bottom!! My favourite DIY product is a Coffee Body Scrub – with added orange essential oil for that Jaffa kick! Perfect for keeping that dry winter skin nourished and great for cellulite toning too! My winter favourite is congestion clearing shower melts! A bit of easy air essential oil blend, maybe some eucalyptus, tea tree or lavender if the mood strikes, with water & baking powder. 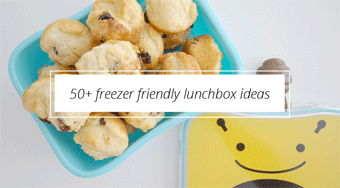 Mix and pack it in a silicone ice cube tray for easy removal ? My favourite DIY product is a homemade granite cleaner that is gentle and effective! I also use white vinegar as a fabric softener in the wash! My favourite DIY at the moment is a coconut oil facial cleanser with bicarb and essential oils. After spending lots of money over the years on cleansers etc this is the best and cheapest by far. My face has never looked so good!!! I’ve heard lots about these amazing books. My fav diy product is our body wash and hand wash it saves us a fortune and is so much better for us and the environment ! My favourite DIY is definitely the whipped body cream! I make a batch for my bub & I, my skin has never felt so good! My favourite thing at the moment is an awesome skin spray! Patchouli, ylang ylang, lavender, Frank, geranium. I’m certain it’s giving my face a clearer completion ?? slowly swapping everyday house and beauty products to tox free and it feels amazing doing it. My favourite DIY product is Krissys whipped face cream, my face feels so nourished after using it without having any harsh chemicals or fragrances in it ?? Having twins there isn’t much time for pampering so I love to make my own face/body scrub at hm. Using just 3 kitchen pantry ingredients, 1/2 cup Honey + 1/2 cup Brown Sugar & 1 Tbsp Olive / coconut oil makes for an instant DIY glow. ? My favourite DIY product to make would be body wash and hand wash it’s so easy to do and love how natural it is. I also love making cleaning wipes as it’s so easy and they smell great! I love making the homemade deodorant balm from the first book. I first made it in October last year and love it! It lasts for ages!! I e only just made my second batch last week!! Citrus Bliss, Patchouli and Teatree are my fave oils to add to it. ? I’m enjoying making my own toothpaste/tooth powder! I’m still experimenting with the recipe, but the key ingredients were cacao nibs, bicarb and smart & sassy essential oil. Next on the list is DIY toilet fizz cleaner! I love homemade deodorant and all purpose cleaner…I’m just starting out…but I’m converted! ? Today I made beautiful goats milk soaps with doterra essential oils for scent. They look and smell beautiful. I think it’s my new favourite diy! My favourite DIY product to make is beeswax wraps. So quick and easy. They are my favourite thing to give as gifts. I like to personalise the fabric to include favourite colours, special interests etc. the best part is they lead to less plastic being used. My favorite homemade cleaner is vinegar & cream of tartar blended into a paste – cleans everything & best for burnt pots/pans. I’m still amaized how well it cleans – no chemicals & no hardwork! My favourite DIY is the tile grout cleaner made with baking soda, vinegar, caster soap and lemon. It’s so easy to whip up and works so well. My showers smell amazing after! My fave is magnesium oil spray with lavender & lemon essential oils! It has changed my life with headaches & migraines now few & far between! I love cooking and gifting homemade jams and chutneys. 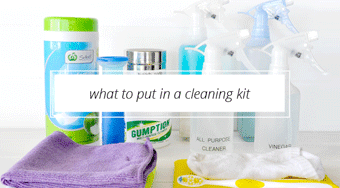 I’m inspired by everyone’s comments to want to try household beauty and cleaning products. The inspired little pot books sound the perfect place to start. My favourite home DYI is my all purpose cleaner. I use it and it’s combination of vinegar, bicarbonate and essential oils on pretty much everything and love the fact it cleans and leaves my house smell divine. I love including this in my DIY Christmas hampers l make for family and friends and they all now have been converted to this chemical free cleaner. Often going back to what our Grandparents used is not only cost effective but are recipes and ingredients that have stood the test of time and are less of an impact on the environment. All in all a win win. My favourite DIY thingy to make would have to be washing powder, so simple – you know whats in it and its cheap! Plus our skin is so much happier and I can add whatever yummy smelling essential oils I want.. winning! My favourite DIY at the moment is my chest rub replacement. So great at this time of year with all the coughs & colds around. Safe for my kids & no nasties. Favourite thing ever is a simple sugar scrub, sugar and my favourite oil/blend for the day. Leaves me feeling silky smooth & uplifted. I love that this is simple enough my kids can enjoy too. My favourite DIY product to make would be lip balm, something that I use everyday. Can’t believe how easy it is to DIY and wish I had started years ago. This year i have learned to brew kombucha including growing my first scoby just from a bottle of store bought kombucha! I feel so healthy and accomplished ? My favourite would be diy all purpose spray. Can be used for so many things. Such a great money saver and no harsh chemicals. My favorite DIY is dry shampoo!! Who’d have thought things I have in my house combined with simple oils good for my scalp would smell so delicious, work and feel so good. I love making different flavoured tea for gifts. Orange and cinnamon, Chai the choices are endless. I am new to all of this and have also just begun my oily journey too! 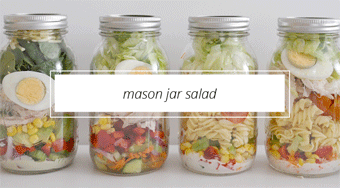 I would absolutely love this so I can begin all my DIY recipes for a healthier me and for my family ? I am yet to make anything, but cant wait! My Favorite diy home cleaning product is room spray that I make. Fresh lavender rosmary and sage from the garden along with a slice of lemon. Boiled and cooled before popping into a spray bottle. I add extra lavender flowers to give inan extra snazzy look in the bottle too. My fave DIY product is my Naply Slray for my little one. I have just started on reducing the toxins in our family life. So far I have changed the washing powder, the bench spray and the dishwashing tablets. Adding in some essentials oils depending on what I feel like smelling when I make up the recipes. My favourite DIY is hair detangler/nit preventer spray…makes doing my daughter’s morning hair styles easier & peace of mind avoiding those pesky nits that often go around schools. My favourite DIY product is homemade washing powder, as my boys both have quite bad eczema it is the best thing I save money and I do not need a lot of it to make my clothes clean. I have recently discovered the simple art of DIY kids bubble bath using the mighty power of Doterra’s essential oils. Although it does not bubble as much as they would like, I am content knowing the mixture is safe & gentle for my little ones skin. Even better, depending on the oils used, it’s a perfect wind down for the evening routine (calming and soothing!). My 18m daughter is a fruit bat so I have been using her citrus peels to make a vinegar spray. I’d love to learn more natural ways to care for my family and home. My favourite DIY are personal skincare products, in particular soothing creams for daughter’s eczema, and a daily hair spray to keep nits away. I’m just starting to DIY cleaning products too. I now make my own foaming hand soap. I love that fact that I know exactly what it’s my finished product. I also love the fact that I can choose which essential oils to add to suit each member of the family and what they like the smell of. It’s so hard to choose my fav DIY. This week though it would have to be deodorant. Even hubby likes it, and uses it every day!! A staple on my list though is my sons moisturiser… works wonders for him. My favourite DIY project is making “toilet fizzies”. They are so easy peasy to make. My daughter helped me make the last batch and chose gingerbread shaped molds. She loves throwing them in the bowl and watching them fizz. Who’d of though such a simple thing could make cleaning the toilet fun! I LOVE TILP homemade face cream. 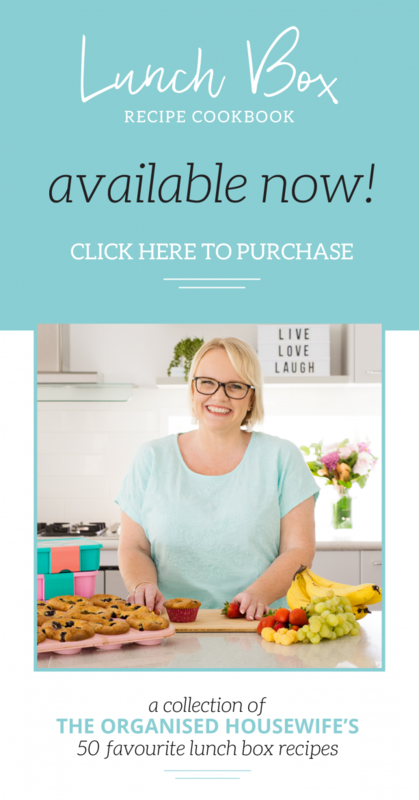 I haven’t yet treated myself to the books so am enjoying all the free recipes, which I love! 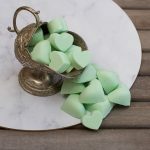 My fav is homemade toilet bombs with bicarb and essential oils – love using them to make the toilet smell so much nicer! I like to make my own dishwashing tablets. No nasty chemicals and SO much cheaper than store bought! These little bath fizzers are what I love at the moment. Nothing better after a hectic day than running a nice hot bath and popping a couple in! Ill be making a few as gifts at Christmas time too. I love to make my own coffee body scrub! Best thing to slough away dry winter skin ? 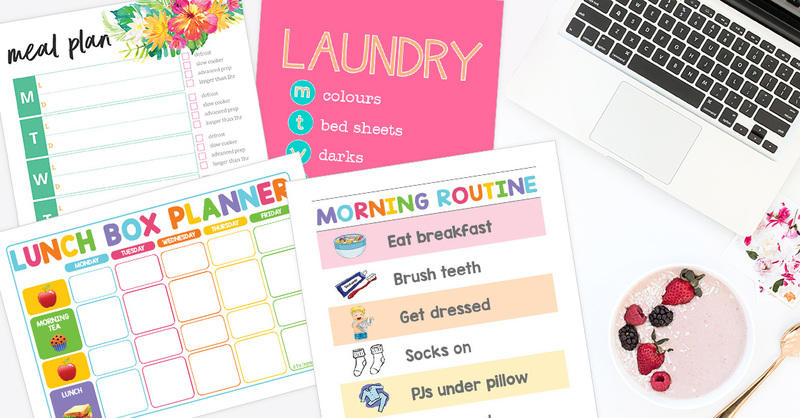 I am wanting to start making my own stuff at home without chemicals and nasties for my boys and I but just don’t know where to start so this would definitely help me get started ? Very much a novice at the all natural game. Slowly coming along, but so excited about it. My favorite homemade, natural item is toothpaste! I make a weekly batch for our family of 5 every Sunday. Everyone gets their own little glass jar for the week. Asking with lice preventive spray for school. I am only just starting out with changing my toxic cleaning products to natural ones and I love making window cleaning spray and also floor cleaner. So quick and easy and smells so much better than chemicals! My favorite DIY would be sewing. Let me just clarify that in no ways or means am I a seamstress or even have the slightest clue about what I’m doing (thank you youtube for the help!). But there is something so heart-warming and brings so much pride to see my little girl wearing something that I have made for her. Something that I’ve taken the time and the patience (and frustration) to make that’s completely unique you her. It is flawed in so many ways but to my 3 year old daughter, it is the most amazing dress/skirt in the world and for that it is priceless ? My favourite DIY product is an all purpose cleaner: in a steady bottle out 1 cup vinegar, eucalyptus oil, tea tree oil, lavender oil and some kind of citrus oil (spiders hate citrus!) Then top up the bottle with water. Easy peasy!! Smells good, had antibacterial properties, non toxic, keeps the bugs/spiders away. I use it everywhere. My favourite DIY product around the home is washing liquid. About $10 worth of products and some yummy lavender essential oils, and it lasts for approx 8 months! Plus none of those annoying white powdery marks from undissolved shop bought Washing powders! Winning! My favourite DIY’s are cleaning products. 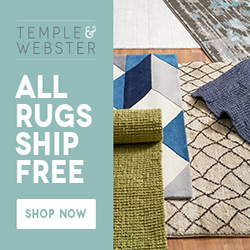 With so many allergies and sensitivities in our house, it’s great to have non-toxic options. I have only tried out a few recipes so far but am keen to give more a go and eventually get rid of all the nasty stuff from my house.